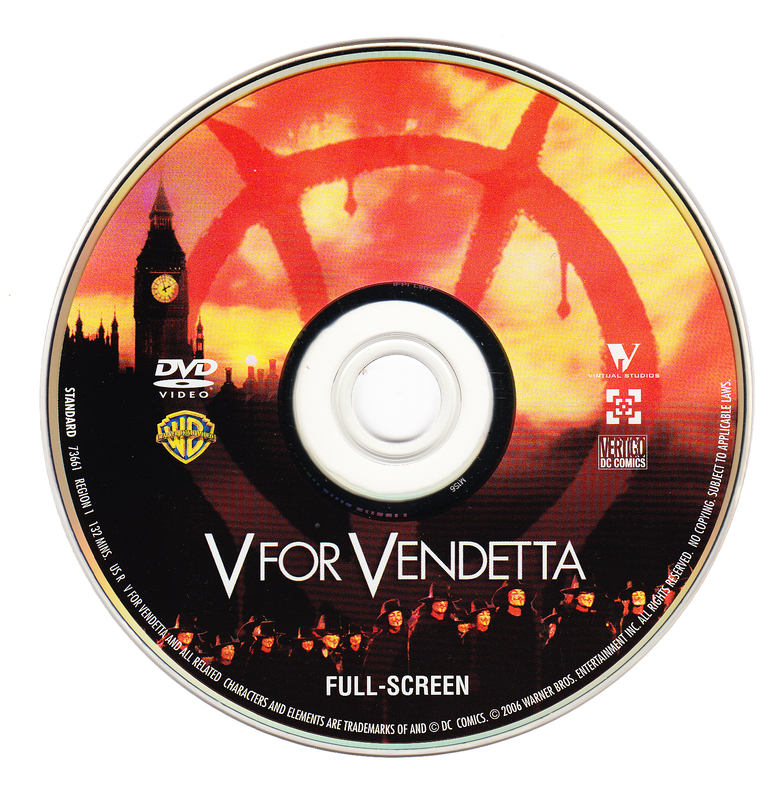 A copy of V for Vendetta can be found in YHC's Duckworth library. V for Vendetta is a film released in 2006 based on the original graphic novel written by Alan Moore. The storyline of the film follows the suave, sophisticated vigilante known only as V, played by Hugo Weaving. The movie surrounds V as he carries out his plan of destroying the fascist government of a dystopian Britain in order to bring about a free society. Along the way, he adopts a protégé, Evey, played by Natalie Portman, whom he helps morph into a powerful and confident figure. This film is fantastic to watch. It is directed by James McTeigue, known for directing the Matrix trilogy. The film adaptation is written by the Wachkowski brothers, who are responsible for writing the trilogy as well. The group teamed up again, and the result is a riveting ride that keeps you interested the whole way through. V for Vendetta never ceased to excite me throughout. As the film progressed, I was eager to see how V would topple the government he despised, how or even if Evey would transform, and if the leader of the government would be dealt rightful punishment. My favorite part of the whole film is the character V himself. While you never actually see Weaving’s face, he is completely alive behind the famous grinning mask he dons. His chivalrous mannerisms, taste for the arts and highly impressive vocabulary make him appear as more than a vigilante longing to eradicate the institution of government. Another great talent in the film is Natalie Portman. She recently won the Academy Award for Best Actress for her role in Black Swan, and it is evident her greatness has not only been recent. She truly shines through as a conflicted young woman caught in the moment of the chaotic state of the country. Her confused and doubtful emotions both fill her face and are shown in her behavior. Portman went as far as to shave her head in the film, while maintaining a tearful performance as her locks are removed. Anyone who is looking for a magnificent film to watch should look no further. Those who are especially interested in those about revolutions and uprisings, this is a no brainer. Also, those who are fans of the graphic novel should certainly watch. V for Vendetta has great performances, an intriguing story and, most importantly, is not a bore to watch. The film is a success in all aspects. I give it an A. This past Tuesday, the Young Harris College Wind Ensemble performed with renowned composer Robert Sheldon at the Glenn Auditorium. Sheldon, internationally known for his work, came to guest compose, playing many of his own pieces, and provided insight to YHC’s students. Sheldon is the recipient of a plethora of awards. Some of the awards include the Volkwein Award, International Outstanding Bandmaster Award and the American Society of Composers. Sheldon has also been given the American Society of Composers, Authors and Publisher’s Standards Award 24 times. Along with his many awards and recognition, Sheldon has taught almost three decades in Florida and Illinois public schools as well as the University of Florida, Florida State University, Illinois Central College and Bradley University. With these credentials, many students and locals came to see him. All in attendance seemed to enjoy themselves and were impressed by the show. Sheldon brought much life to the show causing everyone to laugh. The YHC Wind Ensemble offered him gifts to express gratitude for his time which he humbly accepted. One of the gifts was a giant origami crane brought out as Sheldon explained how that was his inspiration for one of his songs. 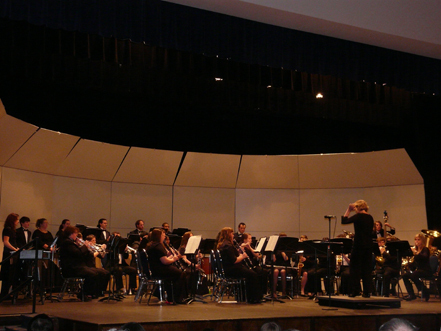 The performance featured many of Sheldon’s own pieces that the YHC Wind Ensemble played. Some of his works showcased were Visions of Flight, In the Center Ring and One Thousand Cranes. The students seemed to like Sheldon, his work, and also the fact that he worked with them. “[Sheldon] is amazing. It was really great having him work with us. He’s really inspiring,” said Jeff Stewart, a freshman music education major from the city of Young Harris. Unforgiven is a western made in 1992, that took the prize of Best Picture at the Academy Awards. It is not difficult to see why either. As westerns slowly began to lose some of their popularity going into the ‘90s, this film made a large impact. I think it is the most important western on the last 20 years. The film follows Will Munney, played by Clint Eastwood, as an aged outlaw and killer with a violent past as he takes one last job after over a decade of inactivity. Accompanying Eastwood is his old partner Ned played by Morgan Freeman. Opposite the elder outlaws is Little Bill, played by Gene Hackman, the intimidating sheriff of the town of Big Whiskey-which is where they are headed. The mood of this film is what really set it apart from other westerns to me. Unforgiven really focuses on the dark and much grittier side of the old west. Rather than being a traditional tale with guns blazing throughout, this film focuses more on the laments and past regrets of the protagonists. This aspect, to me, is the most compelling part of the whole movie. As Unforgiven progresses, you can see Eastwood’s inner demons raging inside him as he fights to push them aside them and carry on. What also makes the film even richer is the acting. All characters are intriguing to watch. Hackman is a truly believable madman, whose ego has driven him to ferocious violence. Freeman is also wonderful as Will Muney’s accomplice as they go about their mission. However, I really liked Eastwood in this one. As I said, it is easy to see the pain within him, but it is also hard to feel sympathy for him because his atrocious acts of the past. He has cleaned up over the years, but still carries the weight of his burdensome guilt on his back. This version of Eastwood is far different from the usual tough-guy role like that of The Good, The Bad, and The Ugly. This movie is not only an amazing and rich western, but a marvelous piece of cinema. If you are a fan of westerns or Clint Eastwood, this is an obvious choice. On the other hand, if you do not regularly prefer this genre of film, this could be an exception. It is absolutely worth watching. I give this film an A. 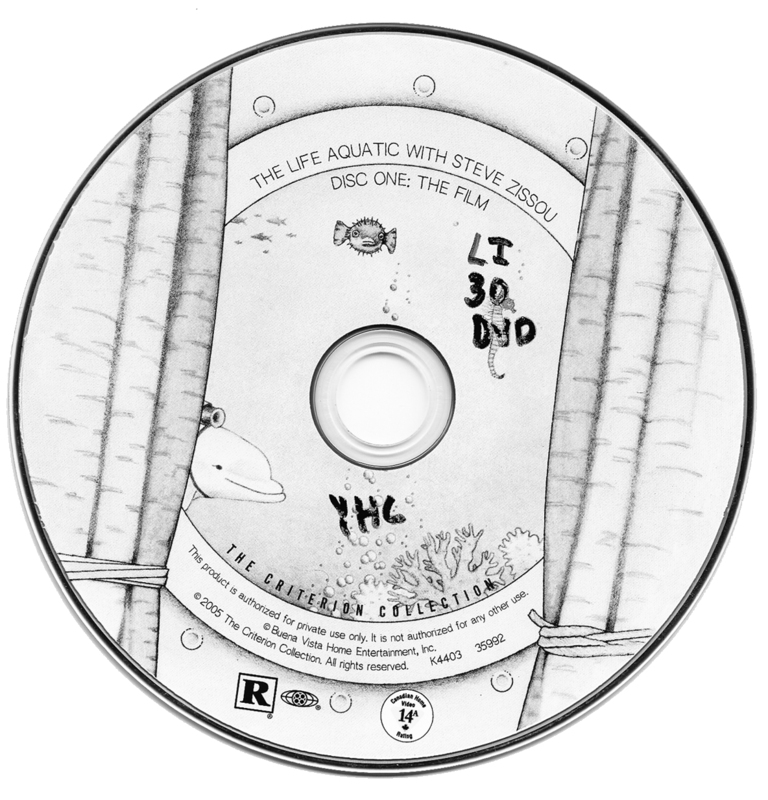 The Life Aquatic with Steve Zissou is a comedy released in 2004 about the oceanographer Steve Zissou, played by Bill Murray. The movie follows Zissou, who creates a documentary as he chases down the mythical “jaguar shark” that killed his best friend. Accompanying him is his son, that he apparently never knew of, Ned Plimpton, portrayed by Owen Wilson. The film is co-written and directed by Wes Anderson. He is most known for his films Bottle Rocket and The Royal Tenenbaums, of which the latter won an Oscar. Anderson is a true master of clever and witty films. This one in particular is no exception. The whole story is completely goofy with numerous memorable and outrageous scenarios. However, the best part is the characters. They are all so diverse and possess odd characteristics that make them immensely fun to watch. My favorite in the movie was Klaus, played by Willem Dafoe, who is the oddly obsessive German right-hand man of Zissou’s that is jealous of his newly discovered son. The different characters and their ridiculously absurd personalities make the film. Murray is also great as the self-centered captain of the ship with nonexistent parenting that is determined on eliminating his target at any cost. Also, Anderson also does a great job directing the film. All of the shots used help to develop a sense of how the particular situation would feel, and show emotions of the characters. There are scenes of conversations and disputes within Zissou’s ship where the crew storms throughout the interior of the ship. These are nicely done by Anderson. The Life Aquatic is definitely a film worth watching. The story is good and the characters are fantastic. Anyone who would like to enjoy a comedy film that isn’t a shameful waste of money like those made now, this is a great find. I give it an A. 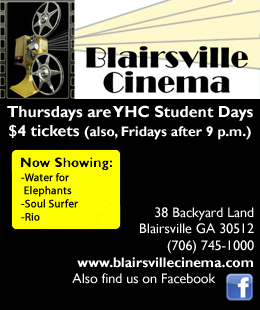 This past Wednesday marked the first feature of Cinematheque for the spring semester. Cinematheque showcased a documentary called Exit Through The Gift Shop, which is about street art and its many different artists. The movie drew in the largest crowd of any feature shown by the program, with more than fifteen students as well as faculty in attendance. Mike Elrod, library instructor and electronics services assistant, opened up the presentation by revealing that the library has received a new collection of graphic novels, bringing it a few samples of the additions and talking about the documentary. Also, Dr. Ted Whisenhunt, chair of the art department and assistant professor of art, spoke about the film and some of the artists within it. Whisenhunt also gave his thoughts on some existing doubt regarding street art being accepted as a true art form. The film was widely enjoyed by those who attended and watched. Everyone laughed at several comical scenes and were impressed by the art inside the movie. After the feature was over, some of the students eagerly spoke out on what they thought of the movie and the art. A copy of We Own the Night can be found in the Duckworth Library. We Own the Night is a crime drama that came out in 2007. The film revolves around a successful nightclub owner, Bobby Green played by Joaquin Phoenix, and his family. Bobby Green’s family has traditionally been police officers including his veteran officer father played by Robert Duvall and his brother, played by Mark Wahlberg. Bobby turns a blind eye to drug trafficking in his club and as the film progresses and the police begin to move in, Bobby is faced with an impossibly difficult decision. He must either look out for his club and continue to aid the drug lords, or he must turn in informantion and help his family bring them down. The plot of the film sounds like a rather generic one, but it is very interesting. The movie is entertaining and thrilling throughout, keeping the viewer attentive to see what choices will be made. There are several tense, pulse-pounding scenes that definitely deliver. Writer and director James Gray does an excellent job creating shots and scenes that convey the drama of a situation. Also, it is not only the plot that helps power the movie, but the acting. Joaquin Phoenix in particular does a magnificent playing the compelling role of a truly torn character. As the movie progresses, you can get a true sense of how he feels. Eva Mendes, who plays Phoenix’s girlfriend, also does a good job portraying a woman terrified of what may happen. Wahlberg does what he can, but his role is not nearly up to par with the one he had in The Departed. However, with the great roles and intense scenes, the movie may not necessarily stand out amongst similar movies. We Own The Night is not a movie that is widely known. Also, it is a rather generic type story. Gray does incorporate his own style and flair, but in the end, it is a predictable drama where you already know the general outline. All in all, We Own the Night is definitely worth watching, but do not expect to be blown away. I give it a B.